Engagement in the outdoors, through hiking, camping, climbing and more is synonymous with Scouting. 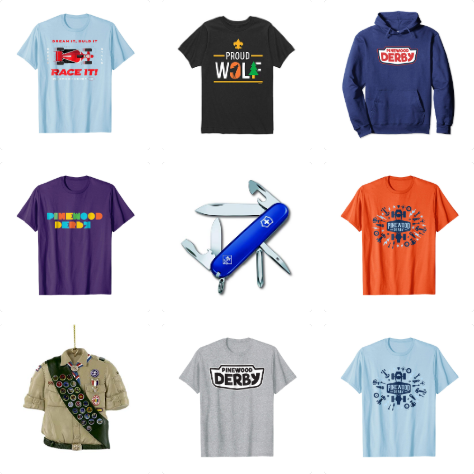 Scouting brands have STEM covered with over 150 career fields and hobbies. The importance of being ready at all times is a lifestyle foundation for millions of Scouting’s past, present, and future generations. The brand with true character. 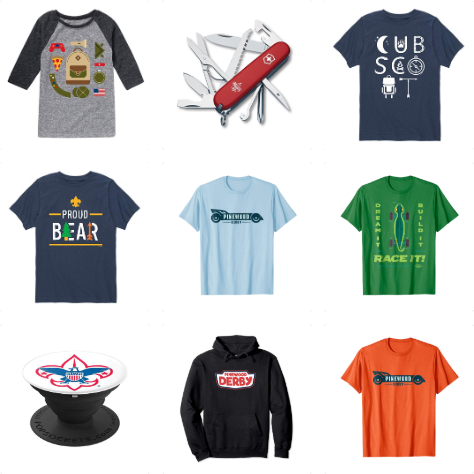 The Boy Scouts of America brand represents a spirit for outdoor adventure and a deep appreciation for nature as well as timeless values of youth education, learning and skill development. it’s about who people are. Shop Amazon for officially licensed products! Pinewood Derby® is one of the most iconic brands associated with the Boy Scouts of America. Introduced in 1953, Pinewood Derby® promotes and encourages imagination, craftsmanship, and sportsmanship among youth ages 6-10. Today, more than 100 million Pinewood Derby® cars have been built by youth in this gravity based racing activity. Pinewood Derby® licensed products create unique opportunities to engage youth and other Pinewood Derby® enthusiasts in what has become one of America’s favorite activities and past time for family fun. Put your imagination to the test drive! Licensing opportunities available in publishing, tools and hardware, home décor, apparel, and more! The 24th World Scout Jamboree will bring together Scouts from across the globe to the Bechtel Summit in West Virginia, USA from July 22 – August 2, 2019. Licensing opportunities are available.